This is by far one of the fun days of my life..
Last night, we went to Nina's Party at their KTV at Ermita. It was fun because I get to see Brent and Jam, Jenny, Corrs, Ericka and of course, Baby Avi. :D So there of course, we all rocked the machine and pretty worked ourselves up.haha. But I just, missed them. I mean if I could just see them all, that would be so great. So anyway I had this invitation from Hon to go to Greenhills. And take note that his mom and his mom's friend, tita vhee, is gonna be there too. Usually, it would be really awkward and all because its your boyfriend's mom and all that, but I didnt hesitated because I so want to be with her (p lease note to Pat that I wasn't making sipsip at all, just that I don't know, Ninang Agnes has always been there my entire life and I was kinda used to seeing her) So anyway, after waiting for two hours for them to arrive, (hohum) we strolled around Greenhills and all. And I have been scouring for my new dream phone. Actually, I have two new dream phones now. 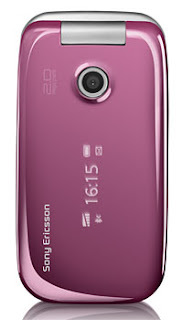 Its either nokia 5300 or Sony Ericsson z610 PINK. I just hope that it'll get lower the time we save up for it. But enough of my fone-smacking, I really had a great time with them. As Ive said earlier, things couldve been really awkward but I'm glad that her mom approves of our relationship. Just that Ive been long waiting for something like this. And Im really thankful that I finally got it. Have loads to do. I just wish I could get over the fact that I have to finish them all. Ciao!